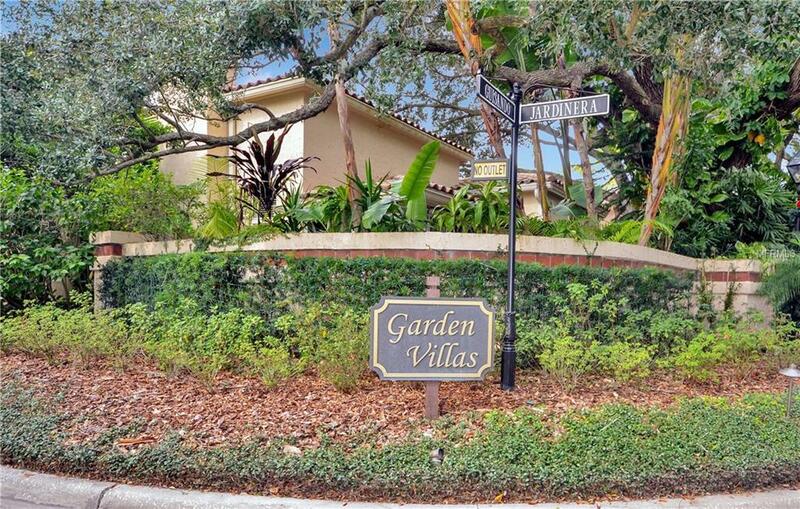 Charming 2-Story Townhome nestled in Avila's Garden Villa enclave, surrounded by lush landscaping and canopy oaks. 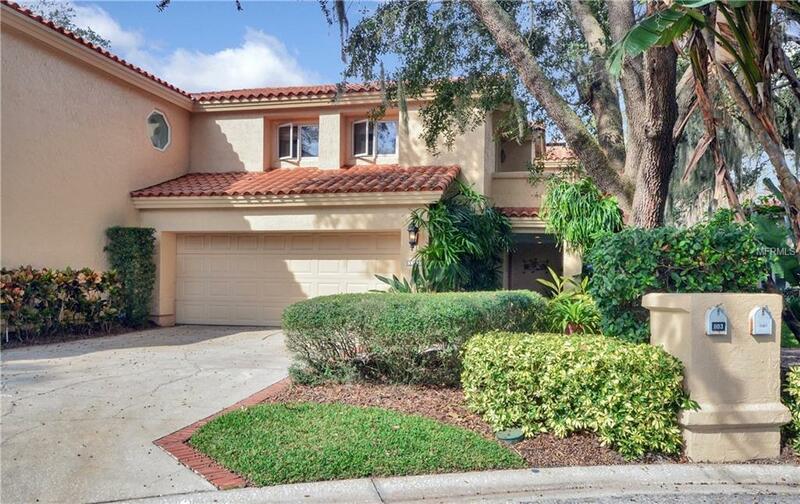 This home offers 3 bed-rooms, 2 & 1/2 baths, huge great room having a large stone, wood-burning fireplace, separate formal dining room, & well designed kitchen, appointed with rich wood cabinetry, granite counter tops, and SS appliances . The family room & formal dining rooms open to the screened, covered terrace overlooking private gardens; a superior arrangement for entertaining! Once in the double door entry you will be welcomed by the impressive two story atrium with a beautiful three tiered fountain, setting the stage for this zen lifestyle. On the second level are three bedrooms, and two bathrooms, The separated Master suite opens to a private deck overlooking the walled back yard & gardens, and is enhanced by two closets, soaking tub, shower, double vanity sinks & private water closet enclosure. The open hallway leads to the second and third bedrooms, one of which opens to a bricked balcony. A full bathroom serves both rooms. 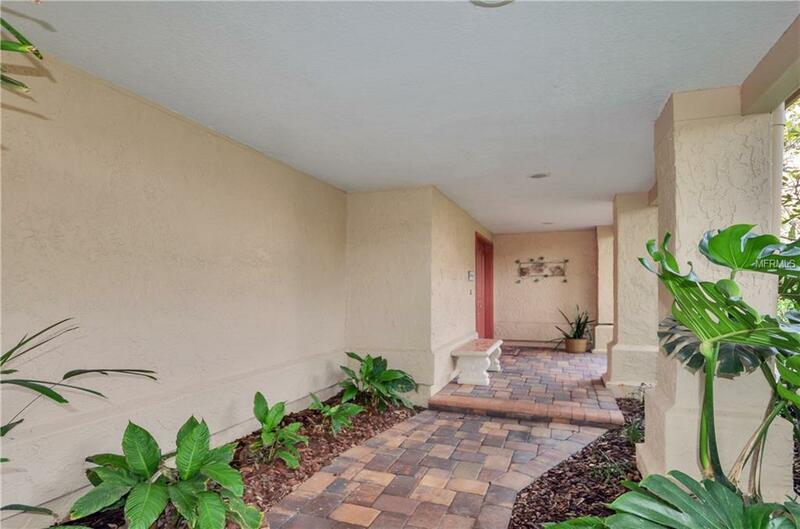 An elegant powder room located near the foyer, extra storage under the stairway, a spacious laundry room, two car garage, walled back yard, and french doors are other desirable features of this home. Additionally there is a private Garden Villa pool area, maintained by the association, another area for entertaining and enjoying this relaxing lifestyle. 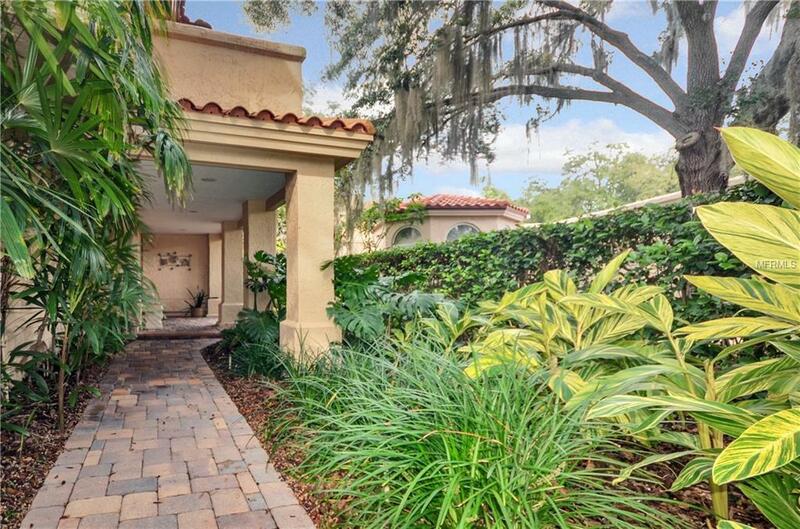 Steps away from the tennis courts and Avila Golf and Country Club, Tampa Bay's premier Country Club Community!